Kudos to my friend, the wonderful cellist Alban Gerhardt, for founding this initiative and putting this concert together. I was very proud to take part and was bowled over at the support we had. 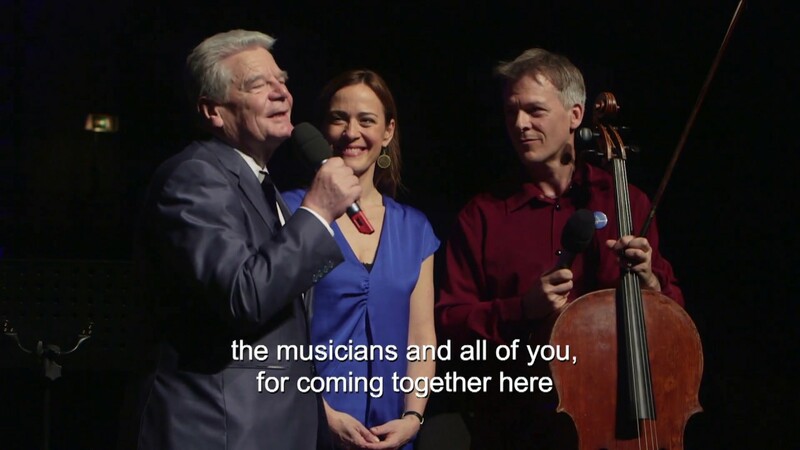 We all feel so strongly about supporting a united Europe, and we tried to show this the best way we know how – by making music. It was also wonderful to be with so many musician friends that day, everyone has such busy careers that we all usually just stay connected on social media, so it was a real treat to be in the same room all together. Thanks to the Radialsystem and the Pulse of Europe for organising and supporting this event. When Alban suggested it I just knew that I wanted to not only be a part of it but that I wanted to feature it on my programme to be able to share the message of these wonderful musicians with all of you. Let´s all work together for a United Europe – or at least a more united world.